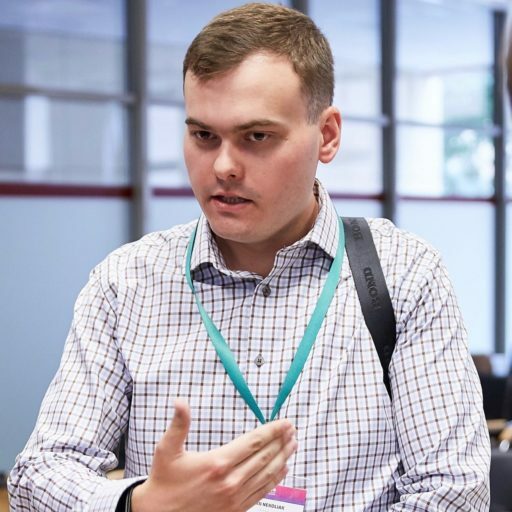 Andrii Nekoliak ist Doktorand im Bereich der Politikwissenschaft am Johan Skytte Institut für Politische Studien der Universität Tartu in Estland. The presidential race and upcoming second round of elections currently take all attention in the news coverage on Ukraine. The doings of Ukraine’s Constitutional Court, however, are less in the spotlight although they play a significant role in the country’s politics. Just last month, the Court issued a ruling that many regard as subverting the government’s anti-corruption efforts. A case that is currently pending before the Court challenges the constitutionality of the 2014 lustration law. The outcome of these proceedings could shatter the post-transition constitutional law order in Ukraine in a much more profound way. The lustration of the Yanukovych government was one of the demands of the Euromaidan protests in Kyiv in 2013/2014. It then became one of the immediate priorities for Ukraine after the change of government which was seen both as a revolutionary remedy for the country’s hardships and a pathway to build up a genuine democracy. The plans came to fruition with the adoption of the Law on Government Cleansing on 16 September 2014 and the Ministry of Justice subsequently supervised the releases from services of persons eligible for lustration under the law. The register of lustrated officials currently contains the names of 922 persons banned from entering public service for 5 or 10 years after the law’s enactment. Almost immediately after its adoption, the lustration law came under fire by Ukraine’s judicial corpus. The law was challenged in a sequence of appeals of the Supreme Court, which in turn was acting upon national courts’ discontent, and submitted them to the Constitutional Court (the Resolutions of the Plenum of the Supreme Court N8 from 17 November 2014, N3 from 16 March 2015; N25 from 25 December 2015). In 2017, the Constitutional Court merged the appeals into one case, together with an appeal by 47 Ukrainian MPs against the lustration law that is currently being reviewed by the Court. According to the Supreme Court, the Government Cleansing Law subjected public servants to collective punishment without safeguarding an individualized and grounded approach to lustration. The Supreme Court argues that the lustration law violates the right of equal access to public service due to a discriminatory procedure of sacking persons from incumbent positions. However, as the Supreme Court argues, no one can be sacked from public service automatically due to the lustration law enactment only. Lustration is a form of legal liability that requires a proper administrative procedure, with a person enjoying the presumption of innocence similar to criminal procedural law. In the view of the Supreme Court, the 2014 law did not guarantee this. Particularly, the process of lustration was unable to demonstrate how individual actions of public servants eligible for lustration led to the usurpation of power by President Yanukovych in 2010-2014. Instead, it simply established the categories of public servants, who served during Yanukovych era as a sufficient prerequisite for release from public service which was then carried out under the supervision of the Ministry of Justice. While the Supreme Court’s stance is clear, the question is whether the Constitutional Court will share this view and strike down the lustration law. The Constitutional Court’s 2017 ruling ‘On the constitutionality of article 42 of the Law of Ukraine ‘On Higher Education’’ (N1-5/2017), can serve as an indicator in answering that question as the facts of the case are telling with regard to lustration. A group of MPs asked the Court to review a provision of the 2014 Law on Higher Education which banned persons from taking the position of university rector for ‘voting in favor of dictatorship laws on 16th of January, 2014’. The ‘dictatorship laws’ refer to legislation introduced to parliament by then incumbent president Yanukovych in the heat of the Euromaidan protests in Kyiv. The laws were directed against the protestors and, similar to restrictive Russian legislation on public gatherings, were meant to crack down on the protest by imposing harsh sanctions and making it harder for the protestors to exercise their right to freedom of assembly. The Constitutional Court abrogated the provision in question due to the vagueness of the term ‘dictatorship laws’ and the fact that no parliamentarian can be held accountable for the way they vote in a constitutional democracy. It is obvious that this ruling has fundamentally questioned the legislative discourse in the aftermath of the 2014 government change. Typologically, the ban envisaged by the Higher Education Law qualifies as a lustration measure although it did not form a part of the lustration law. Yet, both laws deal with the same issue and should thus be seen in relation to each other. The reactions to the ruling on the Higher Education Law point to the substantive criticism that is likely to follow a decision of the Constitutional Court to overturn Ukraine’s lustration law. Constitutional Court Judge Igor Slidenko argued in his dissenting opinion that the Court decided to frame the ban on holding a rector position as legal punishment, i.e. conveying a legal sanction on a person, as opposed to framing it as a criterion of eligibility for the access to service in a public institution. In Judge Slidenko’s opinion, this is highly misleading and sets up ‘doctrinal and conceptual foundations for reversing lustration more generally’ in the future. Usually, having issued a ruling, the Court follows its own interpretation, at least for a term of incumbency. The Ministry of Justice even accused the Court of paving the way for abolishing lustration altogether. In sum, the lustration law became a part, and, I would argue, one of the foundational parts, of the post-transitional legal order in Ukraine. There is still a chance of reversal or emasculation of the policy in the near future. The ramifications of any move taken by the Court are hard to predict. This is especially true because the Court is not a stranger to taking bold decisions that turn around the trajectory of constitutional law politics in Ukraine. In 2010, the Court revoked the constitutional reform of 2004 and returned significant powers to the president as was the case in the previous edition of country’s constitution from 1996. Arguably, the decision shifted the nascent parliamentary democracy back to presidential-parliamentarianism. It has also shown that Ukraine’s constitutional judges sometimes take a risk and make profound decisions affecting shifts in political power configurations. Even though constitutional courts are rather overlooked by the mainstream of political science, the circumstances of constitutional change in 2010 illustrate that constitutional courts can play a powerful political role. Some final thoughts are in order. The situation around the lustration law brings to mind classical pieces of transitional justice scholarship. Ruti Teitel, for example, identified legal-philosophical dilemmas of justice in the aftermath of political change in her Transitional Justice (2000). As Teitel notes, ‘within the context of transitional jurisprudence, the rule of law can be better understood as a normative value scheme that is historically and politically contingent and elaborated in response to past political repression often perpetrated under the law’ (Teitel, 2000: 7). Applying this quote to the Ukrainian settings yields a question. What should be the normative standard for Ukraine’s Constitutional Court when dealing with lustration: procedural integrity of the measure itself or some other value of Ukraine’s post-transitional trajectory? Obviously, the Supreme Court aligns with the former view pointing to procedural shortcomings of the national lustration law that undermine the entire policy measure. However, the opposite view would be that such shortcomings are an unavoidable characteristic of transitional justice settings and inherent in dealing with previous political regimes. Secondly, it brings to mind Otto Kirchheimer’s Political Justice (1961) where he elucidated how goals of policy-making and politics are infused with the sphere of justice and how legal procedure is being used for political ends. As a matter of fact, the courts cannot shy away from taking impactful decisions at the junctures of social and political life by hiding behind the curtain of legal vocabulary and scholarly arguments. This is precisely why having secured ‘judicial space’ is so important for legitimizing political decisions at a particular ‘configuration of history.’ Dealing with the lustration law puts Ukraine’s Constitutional Court exactly at such a juncture and we should allow for its ‘judicial space’ as a matter of principle – regardless of the outcome that our adherence to this principle may bring. SUGGESTED CITATION Nekoliak, Andrii: A Juncture of Transitional Justice: Ukraine’s Constitutional Court and the National Lustration Law, VerfBlog, 2019/4/16, https://verfassungsblog.de/a-juncture-of-transitional-justice-ukraines-constitutional-court-and-the-national-lustration-law/.